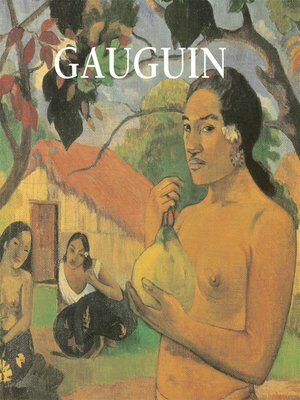 Paul Gauguin was first a sailor, then a successful stockbroker in Paris. In 1874 he began to paint at weekends as a Sunday painter. Nine years later, after a stock-market crash, he felt confident of his ability to earn a living for his family by painting and he resigned his position and took up the painter's brush full time. Following the lead of Cézanne, Gauguin painted still-lifes from the very beginning of his artistic career. He even owned a still-life by Cézanne, which is shown in Gauguin's painting Portrait of Marie Lagadu. The year 1891 was crucial for Gauguin. In that year he left France for Tahiti, where he stayed till 1893. This stay in Tahiti determined his future life and career, for in 1895, after a sojourn in France, he returned there for good. In Tahiti, Gauguin discovered primitive art, with its flat forms and violent colours, belonging to an untamed nature. With absolute sincerity, he transferred them onto his canvas. His paintings from then on reflected this style: a radical simplification of drawing; brilliant, pure, bright colours; an ornamental type composition; and a deliberate flatness of planes. Gauguin termed this style "synthetic symbolism".